Experiment podcast – One hour mix of deep/tech/progressive house selected by Allex! Episode 181. Experiment podcast – One hour mix of deep/tech/progressive house selected by Allex! Episode 180. Experiment podcast – One hour mix of deep/tech/progressive house selected by Allex! Episode 179. 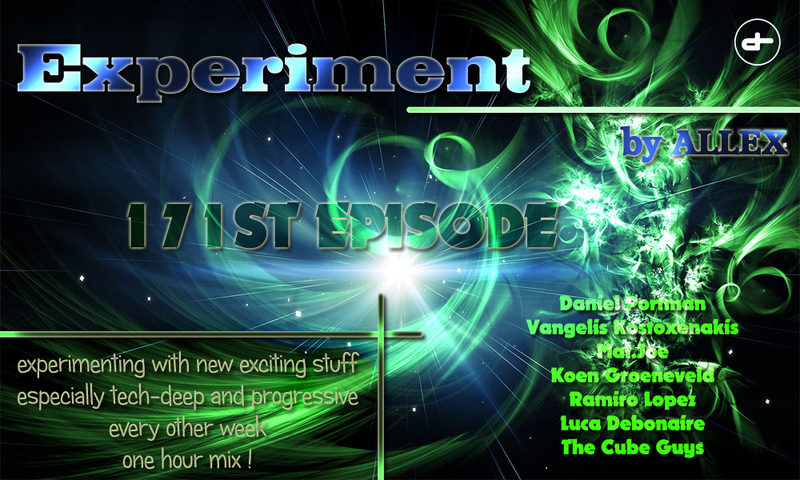 Allex – Experiment 174 Live! Or you can normally download just the audio in mp3 format. Allex – Experiment 173 Live!